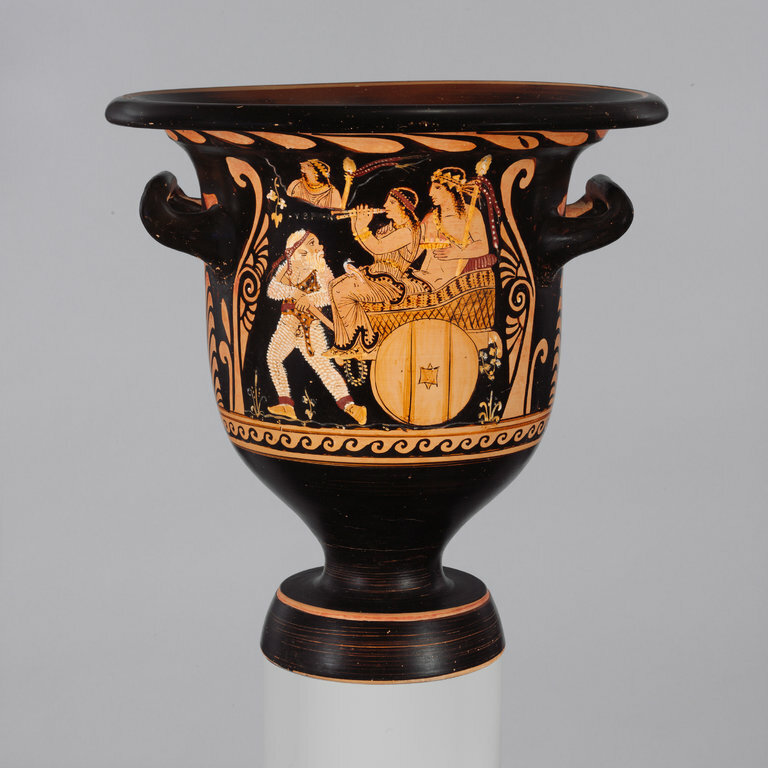 Yesterday Tom Mashberg reported in the NY Times that the Met would be returning this Greek krater to Italy. The Met has returned many objects to Italy in recent years, because they have been looted from tombs and archaeological sites before being smuggled abroad. In 2014 this krater was linked by researcher Christos Tsirogiannis to Polaroid photos which had been seized from the Geneva warehouse of Giacomo Medici. The interesting aspect of the story here appears to be the very slow response on the part of the Met to questions presented by Tsirogiannis. Tsirogiannis told the NY Times that the evidence: “[S]uggested that the item was disinterred from a grave site in southern Italy by looters,” before it passed on to Medici. [H]e had no recollection of having handled the vase in question. “Absolutely not,” he said. He said he had been released from house arrest last year after serving half of an eight-year sentence that was shortened by time off for good behavior and a two-year amnesty provision granted to all Italian prisoners. After Tsirogiannis contacted the Met, the Met in turn contacted Italy “informally”. Whether this contact was too informal to be useful, or whether Italian authorities failed to act is open to speculation. In any case, the Met certainly seems to have been dilatory in fully examining the illicit nature of this object. The resolution strikes me as extremely dispiriting. Museums like the Met seem to only respond to threats by nations of origin or prosecutors. This recalcitrance seems completely foreign to the notion of operating museums for the benefit of present and future generations. Until museums create positions for curators of provenance, or until State Attorney generals look more closely at the operation of museums, this kind of direct action by prosecutors seems one of the few ways to nudge museums to do the right thing. Tom Mashberg, Ancient Vase Seized From Met Museum on Suspicion It Was Looted, The New York Times, Jul. 31, 2017, https://www.nytimes.com/2017/07/31/arts/design/ancient-vase-seized-from-met-museum-on-suspicion-it-was-looted.html. Helen Stoilas, The Met might return another ancient vase to Italy, The Art Newspaper (Aug. 1, 2017), http://theartnewspaper.com/news/museums/the-met-might-return-another-ancient-vase-to-italy/. Tsirogiannis is a fine forensic archaeologist but that’s the extent of his world. He is not law enforcement nor does he have any authority to ask anyone any questions whatsoever. The Met owes no duty to respond nor should they bother. Sorry to deflate his ego and possibly yours but know your limits. Shame on the Carabinieri playing games with the Met and “gotcha” with American Museums. All the while Italy retains looted items from other source nations.